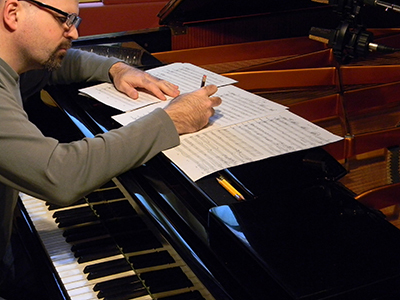 Massachusetts native Peter Vantine has been composing, arranging and producing music professionally for nearly 30 years. His music has been featured in concert as well as various media outlets, including The Biography Channel, The Discovery Channel, MTV, PBS, Warner Brothers Online, Salem Wax Museum, and The Learning Company. He was the grand prize recipient of the 2001 Turner Classic Movies Young Composer’s Competition and has produced over 30 music CDs (many of which include his own music) while arranging or performing on many others. As soon as he played the first notes of “King of the Road” at age seven, Peter knew he would continually be put on the spot to play piano for friends and family members wherever he went. Thankfully, this did not deter him from a career in music. Born in Massachusetts to photographer Richard Vantine and visual artist Ruth Vantine, and growing up in a very musical and artistic family, it was inevitable that something would eventually rub off. His first concert experience at age eight was the beginning of a life-long journey of musical exploration, honing his craft as pianist and organist. He studied with many piano and composition teachers, each one providing something unique to his musical education. 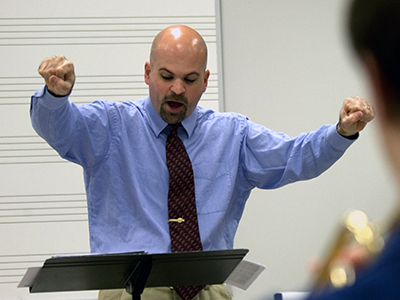 He earned a Bachelor’s degree in Film Scoring and Music Production & Engineering from Berklee College of Music, a Master’s in Music Education from Boston University, and held the position of Pastor of Music (where he led worship and directed music groups) at Middleton Congregational Church for 28 years. In 2014, Peter’s solo piano album Prayerful Improvisations was nominated for Album of the Year by Whisperings Solo Piano Radio, and Christian Album of the Year by SoloPiano.com. Since then he has recorded two additional albums in the Prayerful Improvisations series. In 2016, he began working with Mark Gordon Fee and First Loved Ministries, producing music/media and directing the day-to-day operations of the organization. Along with being blessed by his wife and two children, building and nurturing relationships (with Christ and one another) through the gift of music is a vital aspect of Peter’s life. In all that he pursues, especially in music, he strives to touch the heart through faith, hope and love. Vantine Studio was the name of the Stoneham-based recording studio that Peter operated from 2004-2007. The name was derived not only due to the owner sharing the same name, but more importantly it was done as an homage to the Vantine family legacy in the professional photography industry. Peter’s grandfather, Warren Kay Vantine (originally Vartanian), immigrated from Armenia in the early part of the last century during the Turkish genocide. In the early 1920s he and his brother, Edward both began photography studios – Warren in Boston, MA and Edward in Rochester, NY (which is still in business today – www.vantine.com). The family business prospered for over five decades taking on a large percentage of school, wedding and portrait photography in the New England area. Peter recalls tagging along with his dad, one of their primary photographers, on many trips to photograph various events (as well as playing in the halls of the old studio on Boylston Street). To this day people still recall having their college photographs taken by Vantine Studio! 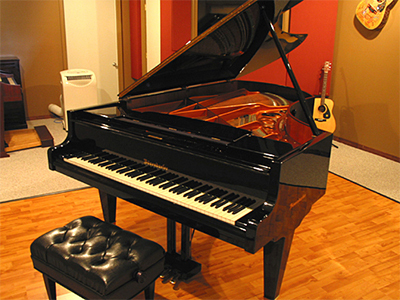 A 7’4″ Bosendorfer B225 Grand Piano was (and still is) the centerpiece of Vantine Studio. Immaculate in condition, exquisite in sound, this instrument was/is tuned and maintained on a regular basis.